The top Moslems, top Jews and top Nazis all work together, when it comes to criminal activity. 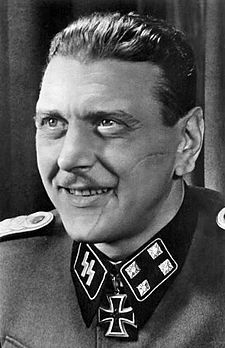 Otto Skorzeny, Hitler’s favourite killer, was a colonel in the German Waffen-SS. In 1953, General Reinhard Gehlen, who was working for the CIA, sent Skorzeny to Egypt to become the military advisor to Egypt’s President. Skorzeny recruited a staff made up of former SS and Wehrmacht officers to train the Egyptian army.Among these officers was Leopold Gleim, head of the Gestapo Department for Jewish Affairs in Poland. Skorzeny trained Arabs for use against British troops stationed in the Suez Canal zone. Efraim Halevy, the former Head of the Mossad, is seen above, in Hampstead, in London. HAMPSTEAD, FINDERS, DUTROUX, FRANKLIN. Skorzeny was recruited by the Mossad and worked with Rafi Eitan. ‘Yes, I met and ran Skorzeny,’ Rafi Eitan told Haaretz. Skorzeny’s work for the Mossad included assassinating a German rocket scientist Heinz Krug who was working with Egypt. Skorzeny acted as an advisor to Argentina’s President Juan Perón. Skorzeny was a founder and an advisor to the leadership of the Spanish neo-Nazi group CEDADE, which had been established in 1966. In the 1960s Skorzeny set up the Paladin Group. Based near Alicante, Spain, the Paladin Group specialized in arming and training guerrillas, and its clients included the South African Bureau of State Security and Muammar Gaddafi. It also carried out work for the Greek military junta of 1967–1974 and some of its operatives were recruited by the Spanish Interior Ministry to wage a clandestine war against the terrorist group ETA. The Soviet news agency TASS reported that Skorzeny’s Paladin Group was involved in training US Green Berets for Vietnam missions during the 1960s. In May 1943, the Nazi leaders adopted a plan to ‘go underground’. By August 1944, Martin Bormann was ready to transfer the Nazi’s stolen wealth (gold, money, stocks, paintings, bearer bonds, blue chips…) into 750 new corporations in countries such as Belgium, Holland, Sweden, Luxembourg, Switzerland and Argentina. Martin Bormann also made use of I.G. Farben to hide the Nazi loot. On 1st May 1st 1945, Martin Bormann left Germany. Martin Bormann’s son was in Israel in April 1993. “After World war II, Martin Bormann set up 750 corporations in neutral countries, primed as vehicles to receive the liquid wealth of Germany in addition to patents and other proprietary industrial information. 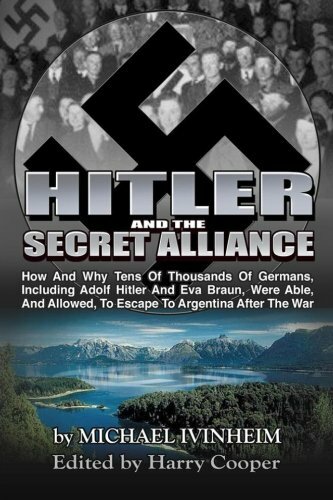 “Controlling Germany’s major corporations, the Federal Republic itself and much of Latin America, the Bormann Organization also maintained a formidable circle of influence in the United States. “Paul Manning has written the definitive text on the Bormann Organization.